Volkswagen to Showcase Vehicles at "Mabuhay Germany"
Volkswagen Philippines, the Number One European car brand in the country, will be among the key participants in the “Mabuhay Germany 2017” trade, culture, and lifestyle event happening at Bonifacio High Street Central, Taguig City on February 18 and 19. “Mabuhay Germany 2017” features the most comprehensive showcase of German products, services, traditions, and culture in the Philippines, and provides the Filipino community with a taste of Germany, a world leader in technology, engineering, and innovative endeavors. Volkswagen Philippines, as the title sponsor of “Mabuhay Germany 2017,” has thrown its full support for the event. It will showcase the best of world-class German automotive engineering, craftsmanship, and design with display units of its vehicles, special financing deals, freebies for those who will test drive, and a fun trivia quiz on February 18, from 4:30 p.m. to 5:30 p.m., wherein exciting prizes await the quiz winners. 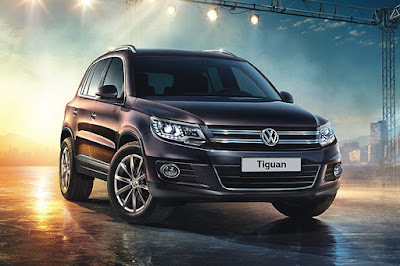 The highlight of Volkswagen Philippines’ display will be the Tiguan Business Edition compact SUV and the Beetle Club Edition. As an added treat for families visiting the Volkswagen booth, Wolfi, the Volkswagen mascot, will be on hand to greet and entertain. “Mabuhay Germany 2017” is a project of the German-Philippine Chamber of Commerce and Industry (GPCCI), in cooperation with the Manila Embassy of the Federal Republic of Germany and the local German Club. Volkswagen Philippines is among the members of the GPCCI.